Do Want Your Liver Back, Clever Man? There is a light festival taking place in Copenhagen right now. That’s a valuable reminder of lighting, among the most uncertain aspects of design. Last night as I wandered around the vicinity of Christiansborg Castle, a bright green laser beam divided the sky. The beam stopped on the spire of St Nikolai’s church, a shimmering emerald hue, and it made me imagine Dr Evil demonstrating the power of his laser to destroy ancient buildings unless the Danes paid out one…million…kronor. I mention this because I very much want to make a link via art to the perhaps neglected business of car tail lights. The light festival makes us a little more alert to light and makes me understand that tail-light design deserves some attention. The light festival uses art to demonstrate the effects of different types of light. Light´s tricky to deal with. Direct light is, after all, an immediate phenomenon in that it is not amenable to accurate representation in other forms: a photo of light is an object that reflects light; a drawing is not even remotely close to the real thing and at best only maps out where light may be seen in an area. A film image of light depends on having made the light in the first place and even then seeing an image of a light shown on a screen loses the context; it obscures the actual nature of the original light by replacing it with cathode ray light or liquid crystal light or some form of plasma medium. Because of these problems, working with light seems like a one-hit affair. Like some other important aspects of design, lamps are tricky to get right, especially when the technology changes. And it’s changing now. Recently, I saw the indicator lights of an Audi A6 in action. The concept is that the light comes on and flows in the direction indicated rather than merely blinking off and on. One might think this is even more effective than an orange light blinking on and off. The idea must have started with words, then a diagram which moved to a prototype which was then converted to producible concept, the thing we see. And now it´s in effect it´s unsuccesful. How did that happen? The geometry of the lamp is unremarkable; the effect is distracting as – for me – I was slightly distrurbed by the flow of the orange area from one side of the lamp housing to the other. In a sense, it is a verbose way to say “the car is moving this way” versus the economy of a light going on and off on one side of a car. Inherent in the location of the light is the information “the car is moving in the direction of this side”. The dynamic illumination is adding nothing new. The dynamic light is already located on the side of the car, that by convention, indicates the direction of planned movement. You may think design semantics is an irrelevant bit of theory but a sensitivity to this might have alerted Audi to the over-kill of the left lamp blinky-flowing left. Furhther and more pertinent, perhaps some art sensibility may have left Audi to figure out a better way to use OLEDS. In Dublin I saw what I recall was a Land Rover, where the indicator blinked on and off, an LED and not a halogen source. The LED has a very abrupt on/off quality because, I presume, the fade is very short and the resultant persistence of vision effect is abbreviated in comparison to traditional bulbs. This gave to the light an unexpectedly brittle, sudden, abrupt quality I found unpleasant. Jerkiness is another way to describe it. Again, had LR (or was it Jaguar) spent some times with an in-house light artist they might have learned that such jerkiness is unpleasant. My contention is that an engineer was tasked with deploying the new technology and no artist was involved. At least it looks that way. And here I´d s suggest that if an artistic/aesthetic approach had been taken to the new technology then Audi and LR (or Jaguar) might have avoided the odd effects seen in their new lights. I am really here yet again going on about the value of artistic sensitivities to industrial design. Quantitatively those lamps work, qualitatively they show a want of awareness of subjective factors. It is probably an unavoidable side-effect of technological change that you win some and you lose some. And you only understand what you have when it’s gone or about to go. The aesthetic character of earlier light sources is that their attack and fade was sympathetic to the human eye’s own performance; the LED is faster and also more sudden. My insights on surface transitions is that humans prefer smoothness; the same goes for acoustic transitions (musicians work against this from time to time). Light is probably no different: a smooth transition is easy on the eye. Interesting hypothesis that art can improve the impact of engineering and not one I have thought about before. Thank you. And , in the cases you mention, I completely agree. Thanks – my notion is based on the observation and that process-orientated problem solving leads to fault avoidance and perhaps the attainment of technical goals. Art approaches explore the subjective aspects of a problem. The light festival may use a lot of effects which would be terrible if deployed on a product. I am sure the artists would have spotted and been able to explain the wrongness of the “brittle and jerky” lamp; for the Audi, an awareness of semantic and communication theory would have sufficed but an art approach may have led to an exploration of other things you could do with OLEDS. 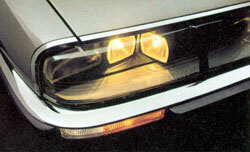 The 1968 Mercury Cougar did this with three lamps each side. Sequential turn signals they’re known as over here. There have been a few others on the Lincoln side of FoMoCo now and then since – it’s a bit distracting, and confusing over something that works well just the simple way it normally is. The reason is the light starts too close to the centre of the car before heading left or right. People expect turn signals to be at the outer extremity of the boot lid or hatch. Audi couldn’t think of anything else so they re-upped a 50 year-old idea/actuality, which wasn’t much cop in the first place. Agree about the abruptness of LED lights. Considering they need less than 2 volts to operate, the power supplies to LEDs have to be clever not to just waste the excess voltage as heat. One supposes they could incorporate a fade-out in that gubbins if anyone thought it worthwhile. Don’t see much point in a fade-in; why waste the time, especially on brake lights. Good morning, Richard. A thought provoking piece, thank you. Car manufacturers spend considerable sums of money improving the tactile feel of their switchgear and controls, given them a smooth, progressive, damped and “heavy” feel. This is widely perceived as a signifier of quality. The opposite, a sticky and brittle “light” feel, is perceived as unpleasant and cheap. I would agree with Richard’s contention that the same applies to our visual perception, and traditional incandescent light bulbs have a much smoother and more progressive transition between “on” and “off” states than LEDs, hence they are more pleasant to view. I wonder if the (re)development* of sequential indicators is an attempt to add some progressiveness and perceived sophistication to the operation of the LEDs? They certainly don’t convey any more information than the traditional single flashing light. On the other hand, the immediacy of LEDs’ transition to the “on” state is useful for brake lights, as signifies a sense of urgency to the following vehicle and is believed to improve reaction times. Some cars actually have LED brake lights that flash rapidly under heavy braking, intended to warn following drivers of the need to do likewise. So, I guess, it’s horses for courses, depending on the reaction you want to provoke in the viewer. The sequential lighting was much slower in real life than the sequence you provide, at least as displayed on my tablet. It looks like a rabbit on speed! Ford Mustangs had them again in 2010. It’s a gimmick like festooning the car’s underneath with blue LED lights, or blue puddle lights showing the car’s logo on the ground at night when you open the door – it appeals to a certain crowd. Audi’s winky winky indicators are a result of designers with too much time and too little to do. Audi’s creative designers are constantly harrassing type approval regulators to get this nonsense on the road. Find this nonsense at your nearest Audi dealer from 2020. They’re doing this because it can be done and because it doesn’t cost anything because it’S just software for controlling the OLED cluster. The really sad thing is that they’re trying to sell us this crap for innovation and we let then get away with it. These ‘moving’ lights are to traffic what animated GIFs are to the internet: useless and annoying. The only difference is, if you’re distracted in the net, you don’t kill people. Bill, I think the borrowed animation I posted was just four photos strung together, not a video, hence the unrealistic speed and lack of transition (i.e. just like LEDs!) You reminded me that the Mustang convertible we rented in California in 2014 had sequential indicators. Just like my next-door neighbour’s A6, they’re mildly diverting for about a minute, then no more. Dave, you’re absolutely right: this sort of stuff is not true innovation, it’s merely window dressing to imply innovation. Mustangs have had sequential indicators on and off (!) but not everywhere. Your friendly local Ford dealer will happily sell you a Mustang, but not one with sequential indicators because you have to have actual indicators here, not the half-baked flashing brake lights idea that the Americans allow themselves. Ford haven’t spent the money to fit rest of the world Mustangs with separate and distinct sequential indicators so they just took the three elements on each side and divided them into two brake/tail lights and one indicator. Mind you, I quite like Audi (and Lexus, they do it too) sequentials. 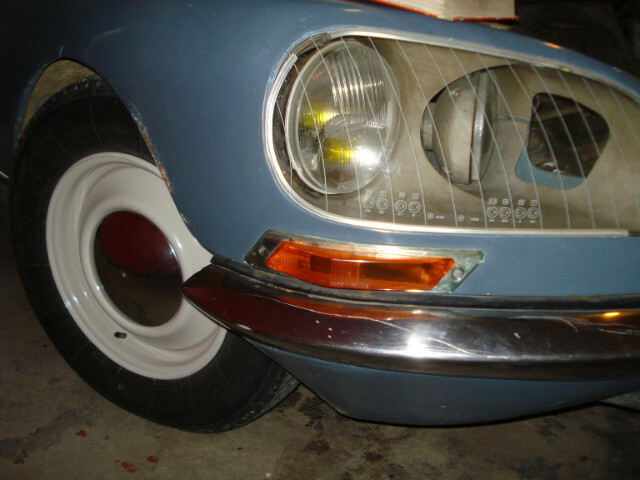 Another recent trend is the “cornering” front lights – illuminating the front foglamp, rather than DS-style moving the bulb. With the resulting left-right-left on/off from such vehicles on roundabouts, which might be useful for the driver (is it?) but looks odd from the outside. More expensive D versions and SMs automatically compensated for squat under acceleration by moving the active lamps, DSs by means of a bowden cable connected to the rear suspension and SMs by means of hydraulics. I was going to mention those cornering front lights too. I cannot bear them! They look stupid and what is the point of them? Are they supposed to replace indicators now that no-one uses them? For a long time I thought there were lots of cars driving about with dead bulbs. 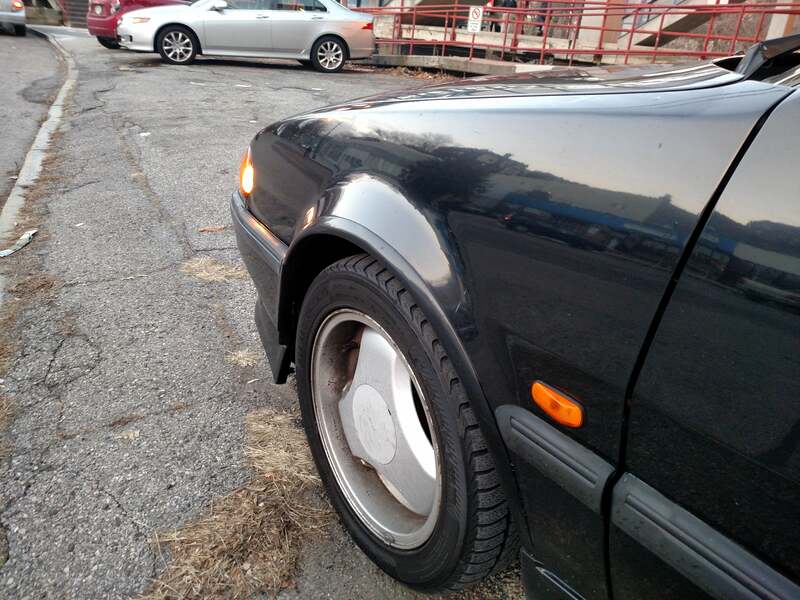 Front reversing lights on a Saab 9000 (North American version). I found them helpful at times. Designers with too much time on their hands – nice one Dave. They’ve certainly lost sight of what lights on a vehicle are for: to help the driver see where they’re going, obviously, but more importantly to make the vehicle visible to other road users and the intentions of its driver clear. A useful development would be rear fog lights which automatically dim when another vehicle is following (since few drivers seem capable of turning the damn things off, instead preferring to destroy the night vision of the following driver and rendering their own brake lights all but invisible – don’t start me off!!). One excellent development, however, has been the orange flashing LED replacement for the feeble original bulb fitted to semaphore indicators. 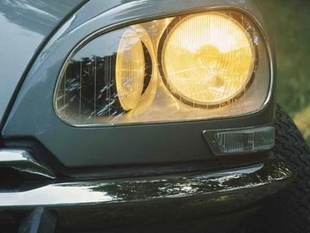 Don’t laugh – there are numerous drivers of ‘classic’ cars now using them; an arm which extends from a door pillar, with bright flashing light, clear of any other lights, right in the eye-line of other drivers, is highly visible and doing exactly the job it was intended to, without ambiguity. Oh that all motor vehicle light displays were such. I must say that I dislike the jerky motion seen in some indicator lights; I also think the ‘sweep’ indicator is a bit of a gimmick. I wonder if my prejudices stem from what I’m used to – that I think lamps that fade in and out are more ‘authentic’. That said, lights don’t usually come on instantly in nature, barring lightening and the flickering of a few insects, and our pupils react relatively slowly, so perhaps that explains it. At the other extreme, I think this is taking rear lighting minimalism a bit far (at 40 seconds in the film, below). Regarding cornering lamps, the ones on my car come on at low speeds when you’re doing a tight turn. I have to say that I find them very useful for seeing kerbs, etc. I’m also pleasantly surprised each time they come on – I forget they’re fitted. Also, I suppose it gives something for the fog lights to do, as they’re rarely used, otherwise. These scrolling indicators really do annoy me. Instead of merely signifying someone’s intention they now distract other road users. I find they tend to draw your attention rather than just inform. However I reserve greater ire for cyclists who use extremely bright strobe LEDs, usually mounted on their helmet. They are completely blinding, distracting and ruin your night vision. As a cyclist I am prissed off by other cyclist with blinding lights. There are the violent tail lamps and the super-blinding headlamps which seem to be pointed at the horizon and not the road. All you see is bright light and nothing else heading towards you. If the illumination needed to be seen on a dark foggy day is 100 light units these put out 200 light units (or well over the visibility threshold). There are car lamps which are way, way too bright as well. Even low beam is excessive. They have a distinctive blueish cast. I hate those. yes, lighting often seems to be about show, rather than communication. my beef is indicator lights which are lost in a sea of red. lights, as on a Ferrari 308, say. by long experience with the language of forms. somewhere in the collective human mind as well. as a brighter actuated corner-light (position light). brakes of the R18, as well as the physically substantial taillight clusters, which would’ve been far more pleasant had the brakelight been located in the inner, far ‘beefier’ parts of the cluster. 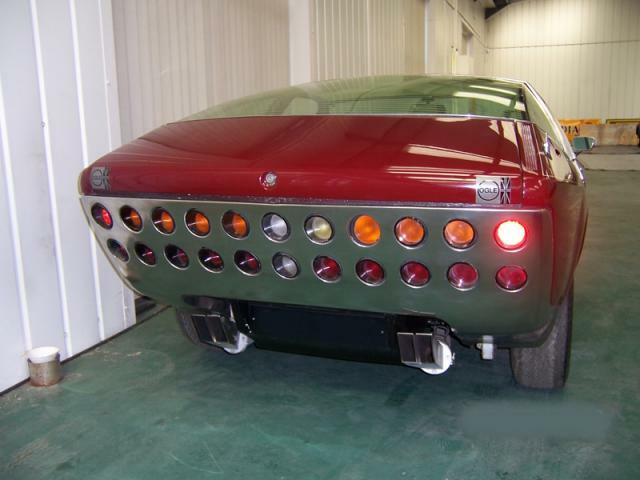 it could be a very cunning sales pitch if the taillights are generously sized in their brakelight-functioning part. As an added bonus, it would be an objective advantage in active safety. is humiliated by the seemingly superior nonchalance of technology. of a softer fading out indicator action of conventional bulbs. Thank you. Those harsh and sudden lights are optically disturbing. Some of the OEMS are having a go at showing artistic sensitivity – some are less adept. From the 00s onwards there were some very creative reflectors on a variety of cars, both humble and less so. Some of these would have made amazing installations if they had been at a human scale. Recent LEDs such as Alfa Romeo´s set-up have a trinkety look, like the light chains favoured by Thai massage studios. They spoil otherwise fine-looking cars like the Giulietta.